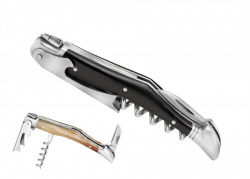 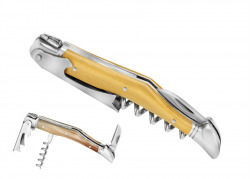 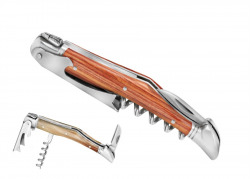 Laguiole corkscrew is divided in 4 parts : The handle which is the base. The handle is made with rare woods or horn The blade is helpfull to take bottle capsule off The lever mechanism is helpfull to lift the cork off The screw is made with stainless steel, is shape allows it to be inserted into the cork by screwing. 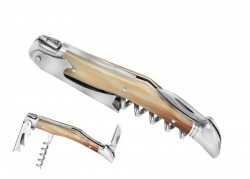 The extraction of the cork is then obtained either by direct traction of the handle or via the lever mechanism. 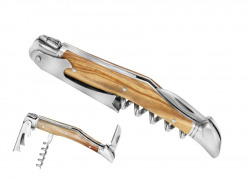 Laguiole Wine Opener There are 10 products.